Eating food from cans lined with the chemical bisphenol A (BPA) could raise your blood pressure, a new study suggests. BPA previously has been linked to a variety of ills, including heart problems, developmental problems in children and high blood pressure. The chemical is widely used in products ranging from plastic bottles and food containers to dental fillings and cash register receipts. 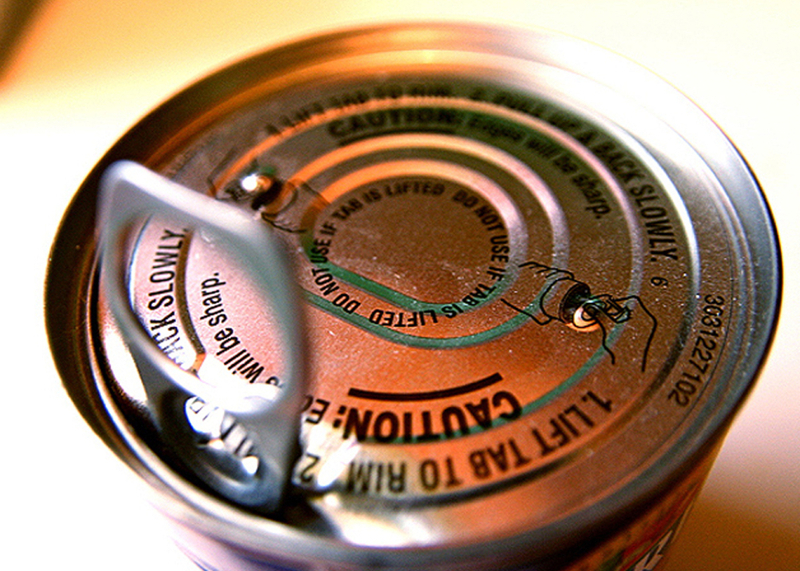 In cans, BPA is used as a lining, the researchers said. "We found that drinking two canned beverages increased systolic blood pressure by 5 mm Hg," said lead researcher Dr. Yun-Chul Hong, director of the Environmental Health Center at Seoul National University College of Medicine in Korea. Putting that in perspective, he said a 20 mm Hg increase in systolic blood pressure doubles the risk for heart disease. The systolic blood pressure number is always the first of two numbers given in a blood pressure reading. "Because these results confirm findings from other studies, doctors and patients, particularly those with high blood pressure or heart disease, should be aware of the possible risks from increased blood pressure when consuming canned foods or beverages," he said. Previous research has shown that BPA in containers can leach into food and beverages. Since BPA acts like the hormone estrogen, Hong thinks it raises blood pressure as it interacts with cells in the heart and blood vessels that are sensitive to estrogen. For the study, Hong's team had 60 men and women, aged 60 and up, drink soy milk from either cans or glass bottles on three occasions. The researchers assessed participants' blood pressure and heart rate two hours after drinking the soy milk and also tested their urine for BPA. Urine tests showed a 1,600 percent increase in BPA among those who drank from cans, compared with those who drank from glass bottles. Soy milk was chosen for the test because it has no known ingredient that elevates blood pressure, the researchers said. The report was published online Dec. 8 in the journal Hypertension. Steven Hentges, from the Polycarbonate/BPA Global Group at the American Chemistry Council, disputed the study's conclusions. "This study's claim that BPA ... 'may pose a substantial health risk' is a gross overstatement of the findings, an incredible disservice to public health, and runs contrary to years of research by government scientists," Hentges said in a news release. Research on the safety of BPA around the world has shown that it is safe, Hentges said. "For example, the U.S. Food and Drug Administration responded last year to the question, 'Is BPA safe?' with one unambiguous word: 'Yes,' " he said. Steven Gilbert, director and founder of the U.S. Institute of Neurotoxicology and Neurological Disorders, disagreed. "They should get BPA out of can linings," he said. "We need to find safer alternatives." Gilbert said he was especially concerned with children's exposure to BPA, because it can affect physical and mental development. For example, BPA has been linked to a condition called gynecomastia (male breast growth), he said. BPA has also been associated with behavioral problems, obesity and type 2 diabetes, Gilbert said. Other studies have linked the chemical to breast and prostate cancer, and heart and kidney disease, he added. Although the blood pressure increase observed in this study was small, it is possible it was due to BPA, he said. "It would be nice if they showed a more robust change in blood pressure," he said. The best way to limit BPA consumption is to eat fresh or frozen foods and look for BPA-free water bottles, Gilbert said.